Shortcut Function Global browser compatibility? I've tested the shortcuts above in Firefox 3.63, Internet Explorer 7/8 and Chrome, though have yet been unable to test in Opera (so if anyone is able to do this, please let us know your findings in the comments!). The Blogger Team are aware that some keyboard shortcuts do not work across all browsers and are working through the issues. 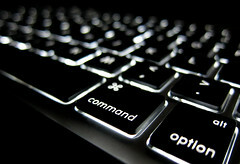 Do you find these keyboard shortcuts useful when posting with Blogger? Please feel free to comment using the form below.